Complete Race Engines are available from Tomei. All engines are ready to drop in and race ready. Every Tomei engine comes complete with manual and technical specifications, and special unique Serial Number ID. 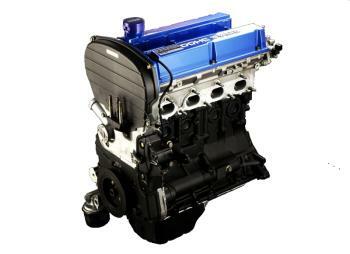 The Tomei 4G63 Complete Engine is a drop-in replacement for your 4G63. Every Tomei 4G63 Engine is completely balanced and blueprinted, and posses only the highest quality parts available from Tomei and Mitsubishi. The Tomei 4G63 Complete Engine gives you the option of increasing your displacement to 2020cc or 2158cc with an 85.5mm Bore. The Tomei GENESIS Engine is a complete, internally built engine ready for bolt-ons and installation. The Tomei GENESIS Engine does not include Gaskets, Manifolds, Turbos, Injectors or ECU – these should be arranged by the customer.